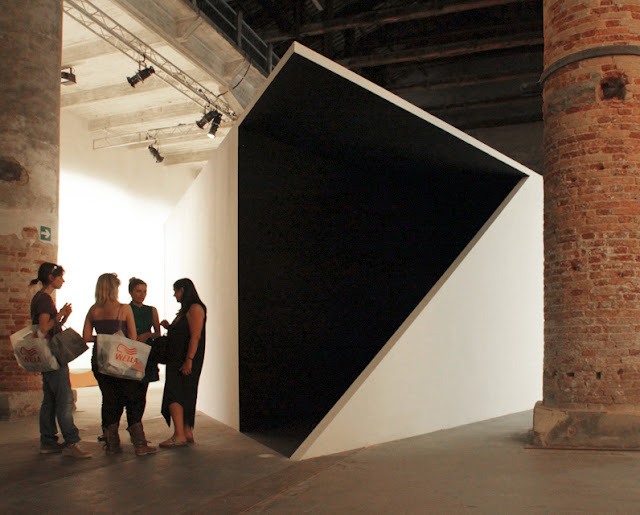 Made for the ILLUMInations exhibition at the Arsenale at years Venice Biennale, 'The National Apavilion of Then and Now' is a cube shaped structure with a slice cut from one of its sides leading the viewer round into a small anechoic chamber. 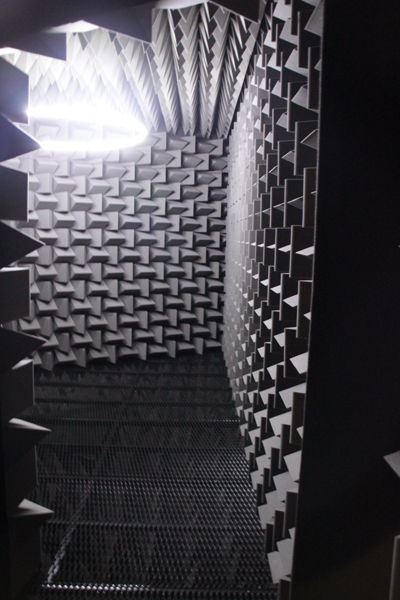 Padded with acoustic foam, an anechoic chamber is designed to stop reflections of sound or electromagnetic waves. 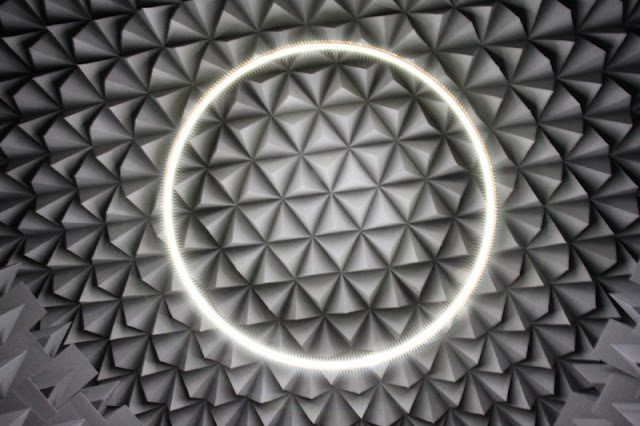 Once inside we find a circle of LED's gradually getting brighter as a drone noise gets louder, eventually cutting off plunging the viewer into silence and darkness. Mirza won the 2011 'Promising new artist' Silver Lion award for for this work at the 54th Venice Biennale.